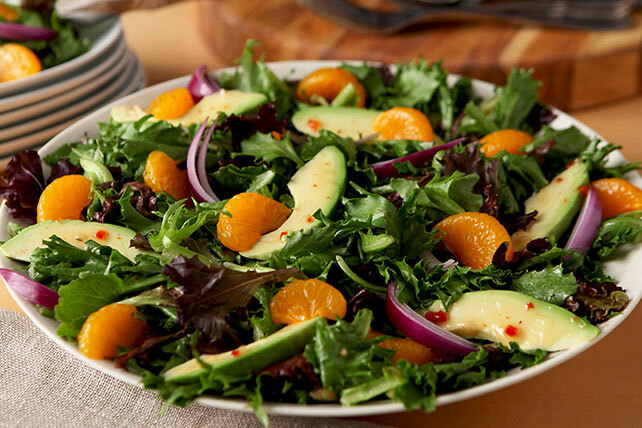 Avocado slices and mandarin oranges strike the perfect balance between creamy and refreshing in this delicious and easy-to-make salad. Add dressing; toss to evenly coat. Sprinkle salad with 1/4 cup toasted PLANTERS Sliced Almonds before serving. Toss avocado slices with additional 1 Tbsp. dressing or lemon juice before adding to salad to help prevent them from turning brown.